This year, I’ve been the busiest I’ve ever been; working 6/7 days of the week, keeping up relationships with others, applying for university or other courses and at Christmas I got the flu for the first time ever. Like the proper flu. Not just a bit of sniffles and a headache but full on hot sweats and a constantly on fire throat – it wasn’t pretty. And that’s when I was told that I had to take holiday. I had taken on extra shifts or the one or two extra ‘little jobs’ on a Monday but that mounted up soon enough and I wasn’t able to handle any more but I felt like taking holiday was showing my weakness. Then a few weeks ago I was exhausted, I went into church at 7:30am, all set, then by 9:30am, I wasn’t any use to anyone. I had over worked myself so much that I was just an emotional wreck. I continued to be an emotional wreck all day but that evening my boyfriend say me down and said enough was enough. So, this week is my first 6 days off together since the Easter Holiday and it’s been great! I’m not a person who can sit around and do nothing all day, I have to have done something at least. So I’ve been filling up my afternoons or evenings by going out and doing something but still managing to sleep in until 11! I didn’t know the importance of just not doing anything and having ‘me’ time and not feeling guilty about it until now. 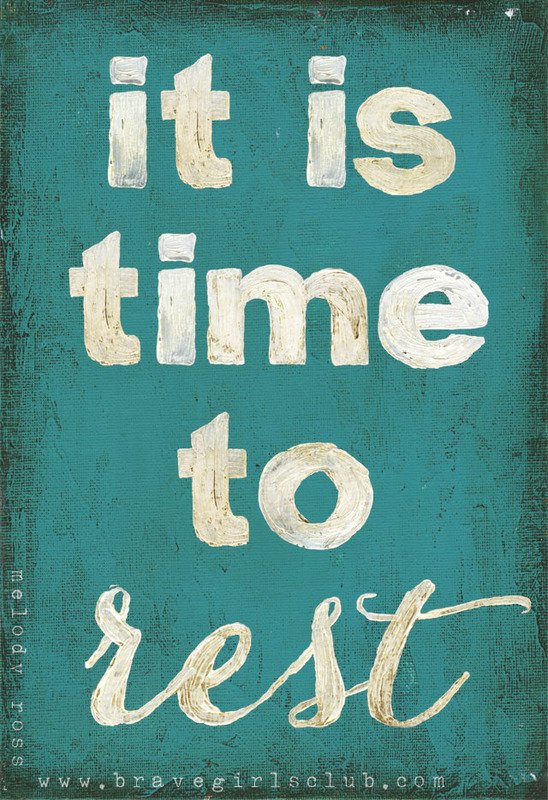 Work is important, it gives you a purpose and meaning, it occupies your time but rest is just as important. We are all different in our balances of what we can cope with, some can handle more work than rest than others can but ultimately they both have to have a place in your life. So, if you haven’t done already find some time and mark it down in your diaries for REST, even if that’s 20 minutes of your day to make a nice cup of tea and dig out that book you’ve been meaning to start. You’ll feel a lot better for it! It’s definitely something I need to keep up with! Previous Here we go… Again? Great post & you have an amazing site!